Best known as the first person to synthesize, ingest, and discover the psychedelic effects of LSD, Albert Hofmann was more than just a chemist. A pioneer in the field of visionary plant research, he was one of the first people to suggest the use of entheogens for psychological healing and spiritual growth. His insights into the consciousness-expanding effects of psychedelics as well as human nature, the psyche, and the nature of reality earned him a reputation as a mystical scientist and visionary philosopher. This book--Hofmann’s last work before his death in 2008 at the age of 102--offers the acclaimed scientist’s personal experiences and thoughts on chemistry, the natural sciences, mind-altering drugs, the soul, and the search for happiness and meaning in life. Hofmann explains different methods of pharmaceutical research based on traditional plant medicine and discusses psilocybin, the active compound in psychedelic mushrooms that he discovered. He examines the psychological role of psychoactives, their therapeutic potential, and their use in easing the life-to-death transition. 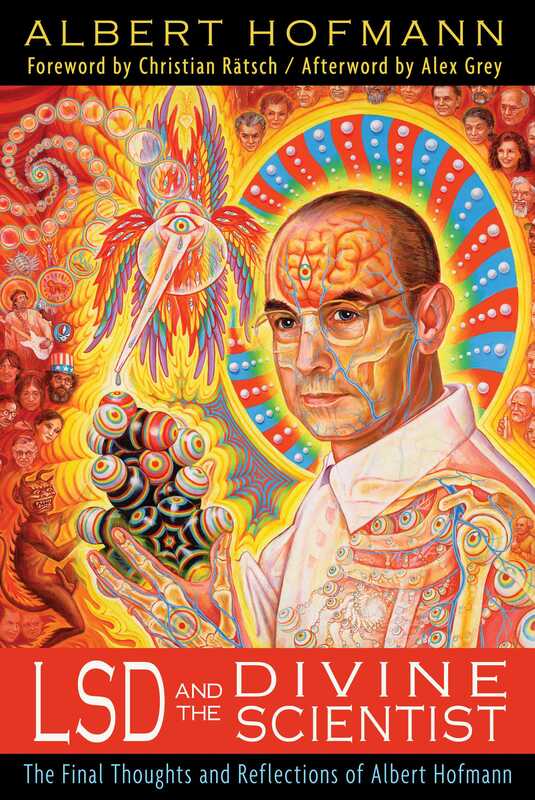 Sharing a different side of the father of LSD, one known only to his friends and close colleagues, this book also includes the poetry of this mystical prophet of psychedelic science. Could Insight into Natural Scientific Truths Have Therapeutic Effects for Psychology? If I answer yes to this question it is based on personal experience. Because I want to talk about my personal experience I will dare to express my own thoughts about a topic that belongs to psychotherapy. As I am a chemist this means to be crossing a boundary. The following description about how natural scientific insights can have psychotherapeutic effects can be divided into two parts. In the first part I will describe how meditating on natural scientific knowledge helped lift a serious depression. In the second more general part, I will attempt to present my view of how an increased consciousness of natural scientific truths could contribute a great deal toward helping people overcome their spiritual crisis and reduce fear, depression, and loneliness. Onto my own personal experience: In my twenty-ninth year I fell into a difficult existential and spiritual crisis. The external world became schematic and increasingly lost all meaning. Everything seemed pointless to me. My co-inhabitants moved around like wooden puppets. I was completely overcome with a fear of dying. Often these symptoms were so powerful that I collapsed. At night I was afraid of falling asleep, because I was afraid of never waking up again. I felt guilty about my condition, but I could not determine which concrete sin was bothering me. My soul was in a terrible state. Because I believed my suffering was of a purely mental nature, I tried with my reason, through self-analysis, and with all the strength of my will to get out of this dire situation. But all attempts were futile and my fear increased. As I was brooding one day in my room, my glance fell through the open window onto a green tree in the garden. An unusual, relaxed relationship developed with this tree, which broke through the devil’s circle of swirling thoughts and set free the path to healing. The following meditation went through my head: This tree is biochemically built the same way as you; it consists of cells with a nucleus in which the hereditary factors are contained and which is surrounded by a protective plasma hull, just like in the cells of your body. It has come into being by the union of a female and male cell, just like you. It develops and grows by breathing the same air as you; formed by the same creative force and kept alive by it--like you are. The understanding that flooded my consciousness about my shared creation with this tree, which apparently lived its life unrestricted by thoughts, suddenly filled me with ease and trust. All whirling thoughts and fears disappeared. But with adults such a spontaneous mystical vision is rare. I believe that in this instance it was knowledge about the truths of natural science and becoming conscious of our shared creation with the tree that had released the healing experience. Following this example I now come to the second, more general part of my observations. At this point I want to include insights made by the natural sciences, which, I believe, deserve to be reawakened in the consciousness of a greater number of people and to be broadly disseminated in the public sphere. These insights have nothing to do with new research but are natural scientific facts that can be read about in schoolbooks, but which are not thought about any further because they have no direct relationship to everyday life and are not of immediate use. At this point I would like to discard with a basic ideology concerning the position and significance of research in the natural sciences and about the truths developed by this ideology. I believe that the significance of the natural sciences in the evolution of human society is not based solely on the fact that they deliver the foundational material for the development of modern technology and for industries, which have changed our life and our planet from the ground up, but therein that they are able to open the eyes of humans for the wonder of creation and for the unity of all life on this earth in which humanity is included. Gaining such knowledge should serve the purpose of having a broad and holistic consciousness and could become the groundwork for a new spirituality and contribute a solution to the current spiritual, social, and ecological problems. The Indian philosopher Rabindranath Tagore expressed this belief with poetic language: Through the progress of the natural sciences the integrity of the world and how we are unified within it becomes clearer to our minds. When knowledge of this absolute unity becomes more than an intellectual understanding, when it includes a clear, complete consciousness of our entire being--then this knowledge radiates joy and an all-encompassing love. Albert Hofmann (1906-2008), the father of LSD, was a world-renowned scientist, member of the Nobel Prize Committee, Fellow of the World Academy of Sciences, and member of the International Society of Plant Research and of the American Society of Pharmacognosy. He was a leader in pharmaceutical-chemical research and the author of several books, including LSD: My Problem Child.